Last time we had over 700 sales in march was 5 years ago at 789. Before that it was 2007 (833 sales). So not a hot market yet (that would be between 800 and 900 sales with an inventory of half of what we have now) but decent. Enough to draw the bulls out of the woodwork at least. Pretty strong February. 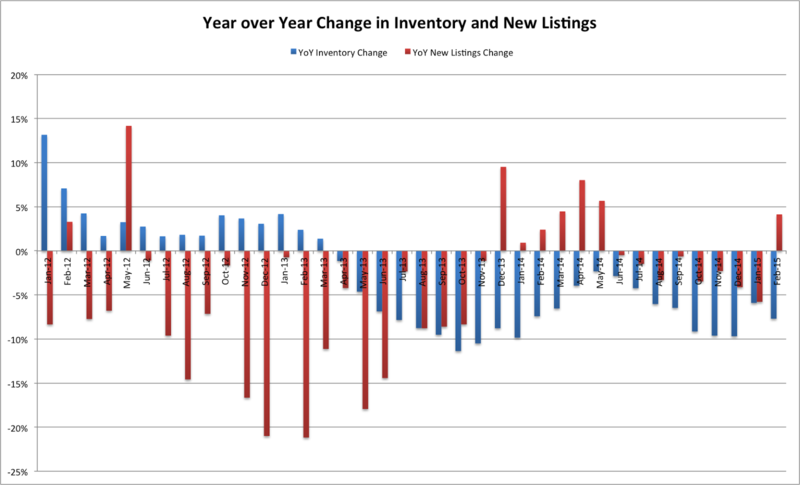 Sales up 31%, inventory down 8%. 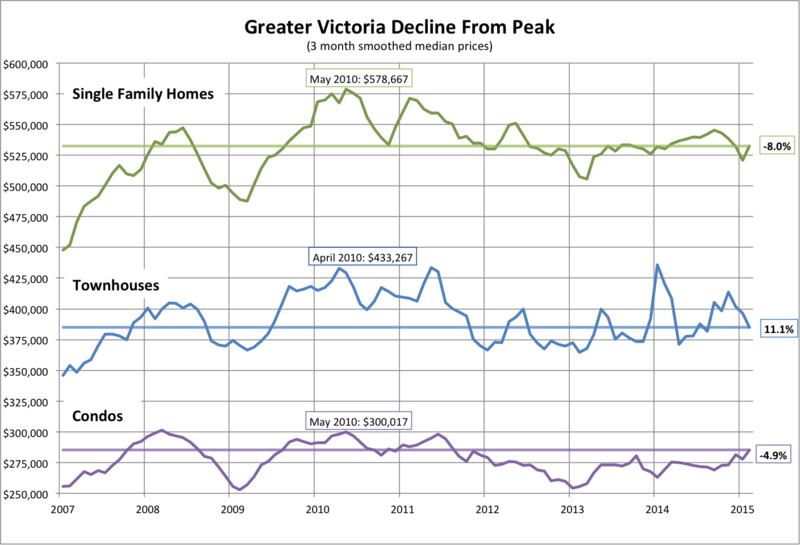 The trend towards improving market continues at a surprisingly steady clip, with prices matching inflation for the last year and a half. 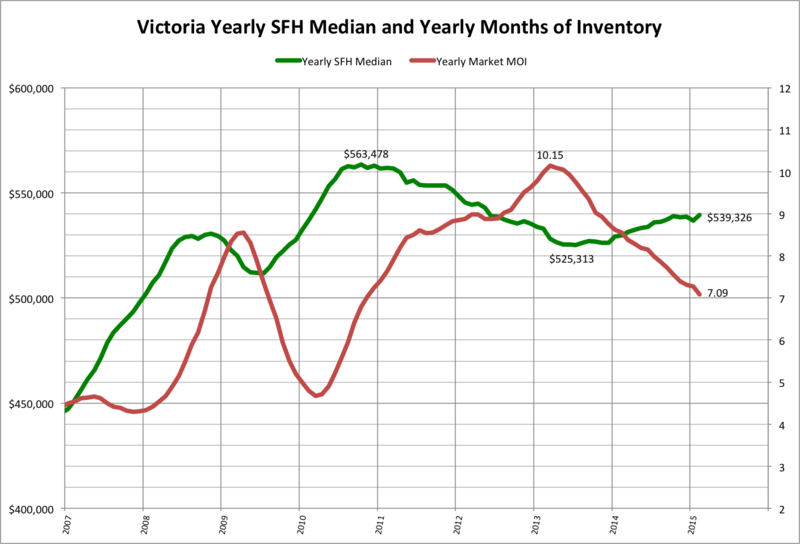 SFH prices basically dead flat from last year. If we see another strong month though this graph will jump. 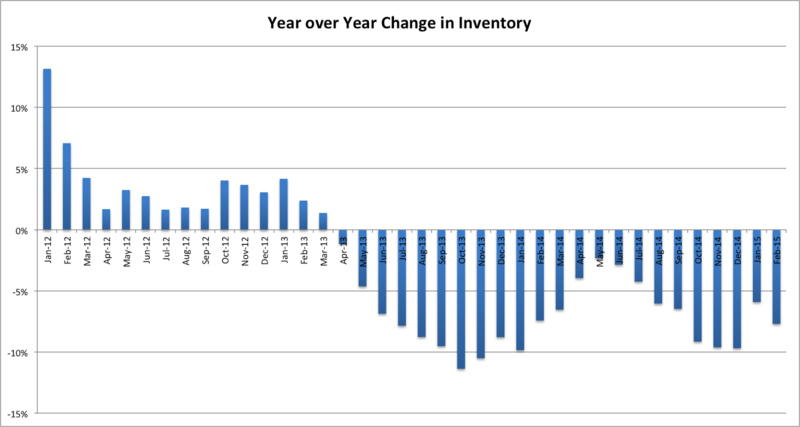 Another way to visualize the change in the market since 2013 is to look at the change in inventory from the same month the year before. 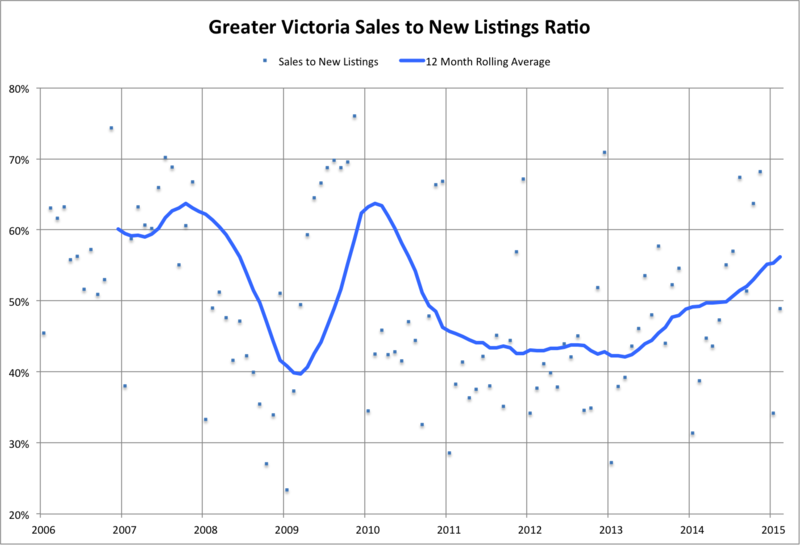 Only sign of anything different is an increase in new listings over last year. Haven't seen that since last May. With more chatter of a better market, it might lure some potential sellers out of the woodwork this spring.